Silicon will be supplemented by 2D materials to extend Moore’s Law. Graphene, the wonder material rediscovered in 2004, and a host of other two-dimensional materials are gaining ground in manufacturing semiconductors as silicon’s usefulness begins to fade. And while there are a number of compounds in use already, such as gallium arsenide, gallium nitride, and silicon carbide, those materials generally are being confined to specific niche applications. Transition metal dichalcogenides (TMDCs), a class of 2D materials derived from basic elements—principally tellurium, selenium, sulfur, and oxygen—are being widely explored by researchers for their use as semiconducting materials. These include molybdenum disulfide (MOS2), molybdenum diselenide (MOSe2), molybdenum ditelluride and molybdenum telluride (MOTe2), tungsten disulfide (WS2), and tungsten diselenide (WSe2), which are among the materials being tested for use in chips. TMDCs are functioning as semiconductors in conjunction with graphene (a carbon allotrope) as an electrical conductor, and monolayer hexagonal boron nitride (also known as white graphene) as an electrical insulator. These materials can be used in electronic devices, energy and harvesting devices, and for flexible and transparent substrates. TMDCs are also being combined with silicon substrates, to give good old silicon a few more years to shine. And 2D materials can be printed on paper substrates, opening up a whole new field of paper-based devices, such as sensors. Monolayer graphene is highly conductive – overly so. The 2D carbon material has no bandgap, however, limiting its use in integrated circuits. Bilayer graphene, in contrast, can be tuned to have a bandgap. Bilayer graphene films on silicon carbide can be better controlled, researchers have found. Trilayer graphene can also be tunable to produce a bandgap, needed to develop field-effect transistors in a semiconductor device. Fig. 1: Graphene. 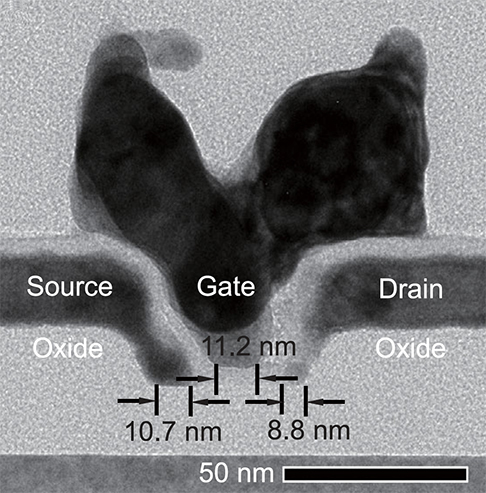 Source: Cambridge Nanosystems. 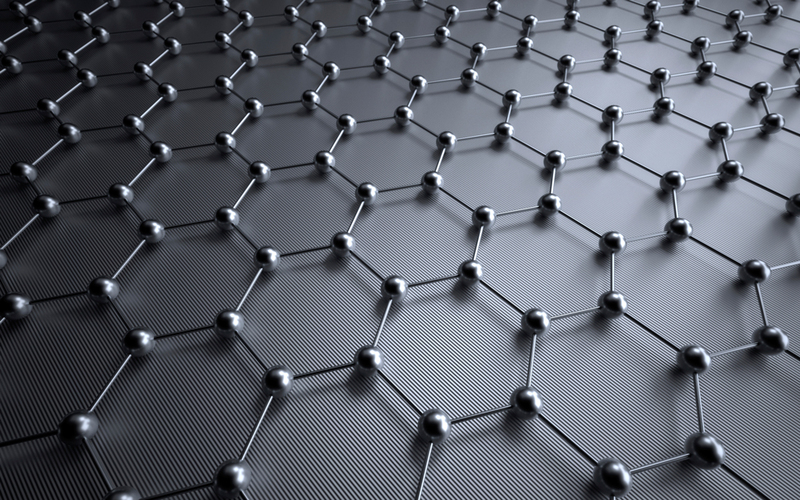 IDTechEx Research forecasts the graphene market will increase to more than $300 million in 2027, with 3,800-plus tons of graphene shipped in that year. IBM has touted carbon nanotubes as silicon’s successor for several years, and has reported on progress in developing transistors based on CNTs. Graphene’s use goes well beyond just electronics because of its conductivity capabilities. For example, the U.K.’s Haydale Ltd., which focuses on nanomaterials treatment, is working with a Korean company to incorporate graphene into cookware, according to Haydale CEO Ray Gibbs. It also is working with Huntsman Advanced Materials, which is designing materials such as boat hulls to structural adhesives for creating high-strength, low-weight automobile bodies. Felice Torrisi, a lecturer at the University of Cambridge’s Graphene Centre, pointed to graphene and 2D materials being used in inks for smart fabrics and wearable electronics, as well. The university’s researchers were able to print boron nitride, graphene, and silver on textiles to form two transistors – fully flexible, not rigid. “We can also spray-coat these devices on 3D surfaces,” he says. The U.K.’s Centre for Process Innovation – Graphene Application Centre has worked with industry to integrate graphene into coatings, composites, inks, membranes, and sensors, as well. “Many of the claimed properties of graphene can be realized cost-effectively,” says Tom Taylor, director of new business. Standards are beginning to show up in this area, as well. Terrance Barken, executive director of The Graphene Council in the U.S., says his organization is working on standards for graphene. Silicon is still going strong, but it is getting more difficult to extend silicon into some new markets as well as new process nodes. CMOS has been running out of steam for several nodes, and that becomes more obvious at each new node. As companies such as Lam Research and Applied Materials have been saying for some time, the future will depend on new materials. That opens the door for a variety of new options, including graphene, 2D materials, and carbon nanotubes. Some of these materials will be used on their own, while others will be combined with silicon to extend Moore’s Law and improve performance, power and area far beyond where it is today. Flexible electronics, new memory types, and neuromorphic computing dominate research. Very interesting. Please can you recommend a book or papers for further reading?